Prince Siddhattha was a very kind person and he loved animals. Therefore, he would never shoot and kill animals even though he excelled in archery and shooting correctly at the target. Once his cousin Devadattha shot down a swan with his arrow and the poor bird fell near Prince Siddhattha. 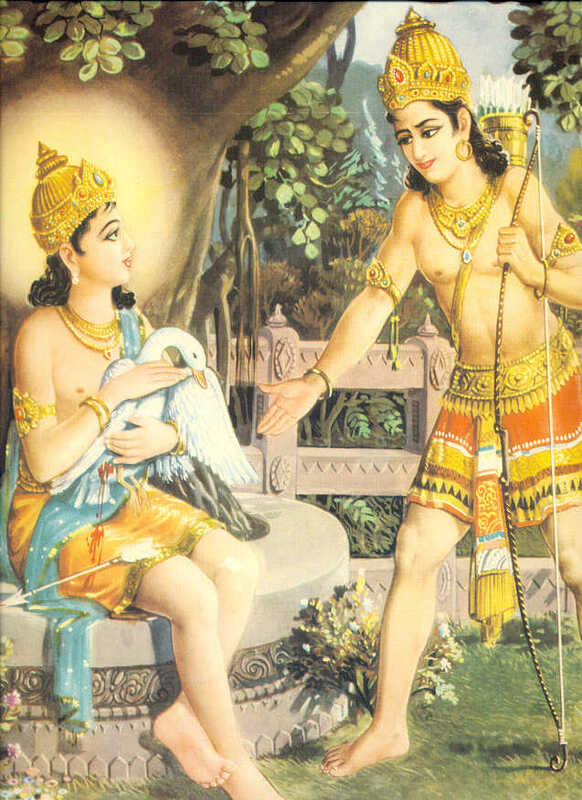 He felt so sorry for the bird, and he very quickly but gently pulled the arrow out and was treating his wound when Devadatta came looking for the bird to where it fell and claimed it. But Prince Siddhattha refused to give it to him. He said the bird cannot belong to Devadatta, as it is not killed, and as he saved the bird it belongs to him. But Devadatta would not hear of it. So they had to go seeking justice on who owns the bird. They went to the Court of the Sage. There the Sage said that the life of the animal was saved by Prince Siddhattha, and therefore it belongs to him. Life should always belong to the one who saves it and not to the one who seeks to kill it. 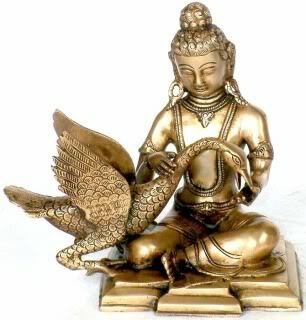 In Prince Siddhattha’s kind hands the swan soon recovered and was flown away by the happy Prince.